Yet another Near Earth Object observed by NASA. A huge asteroid which is bigger than the Pyramid of Giza skimmed Earth today at an incredible speed of more than 34,000mph (54,717kph), according to NASA's asteroid tracker. Dubbed Asteroid 2019 EN, the size of the space rock could be twice the Pyramid of Khufu in Giza, Egypt. The asteroid is skimmed our planet on a so-called "Earth Close Approach" trajectory. NASA's Jet Propulsion Laboratory (JPL) estimated the asteroid will pass Earth around 1.27am GMT (UTC). The JPL also estimated that the asteroid measures around 492ft to 1,115.5ft (150m to 340m) in diameter. NASA explained: "As they orbit the Sun, Near-Earth Objects can occasionally approach close to Earth. Note that a 'close' passage astronomically can be very far away in human terms: millions or even tens of millions of kilometers." Besides, Asteroid EN will pass over Earth again February 29 in 2048 and on August 9 in 2051. Adding to the context, Conspiracy theorists have long been claiming that a civilization-threatening asteroid might be on a collision course with the Earth. 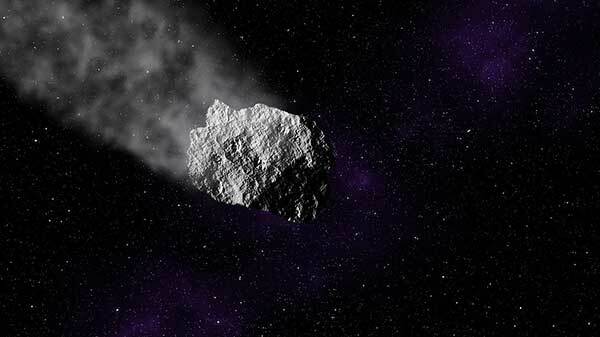 Now, well-known scientists are planning to shed light on the potentially dangerous asteroids at an international conference in Vienna. After understanding the dire consequences of NEOs, the space agency is reportedly developing a planetary defense weapon which will be able to alter the trajectory of the space rocks that might be speeding Earth's direction.